Counterfeit X-POLEs are being found around the USA & the UK and are now In Australia. Last year an imitation pole (that claimed to have a load rating of 300kgs) snapped mid-performance. The dancer was severely injured and may not walk again after fracturing her pelvis & spine. The organisers of the event thought they had purchased an X-POLE. This was because MANY of the fakes use our images. Authorities do nothing to protect consumers, or brand owners in this regard - so it is up to you, to do your research and choose a safe pole. 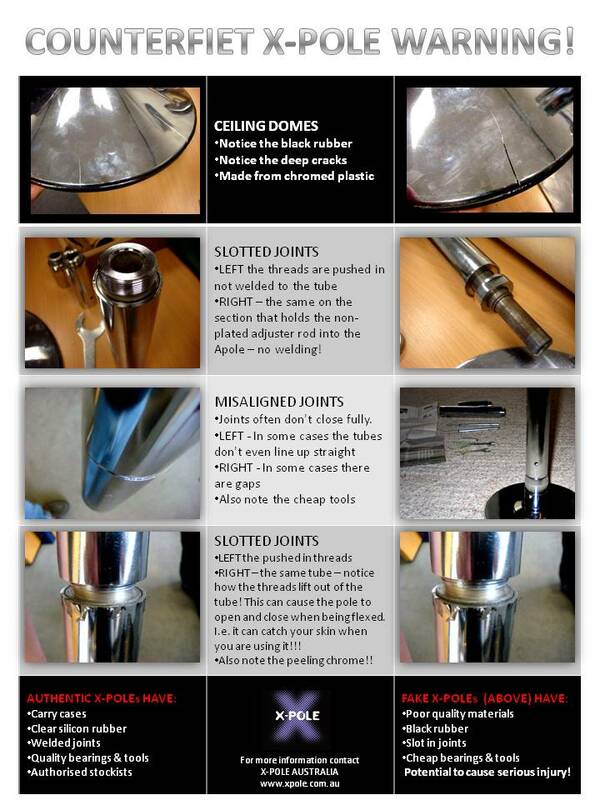 Be very careful as the quality of a fake dance pole is NOT the same. One of the biggest safety issues our industry faces right now is the lack of safety standards for poles. Moves are increasingly more acrobatic, poles are taking more force; there has been an influx of fake X-POLES that are completely inadequate to sustain this force. Many of these imitation dance poles look the same as our products and most people do not know the difference. Fake domes are often plastic, chromed to look like metal. The bearings are insufficient for sideways force. The screw-thread joins are push-fit not welded, and worse - the fake sellers are claiming rating loads of 300kgs, which is completely untested, unverified and impossible given the quality of the product. This should be illegal, but it's not. There are zero safety standards. Please educate your fellow polers, your partners, family & students and ask them to let their friends know - they are better to hire a pole or buy second hand (if on a budget), and we will always verify if poles are genuine X-POLE. Fake poles have caused permanent serious injury overseas. If that happens in Australia, insurance will become unaffordable across for any pole related businesses and this affects our whole industry. Help us safeguard consumers, polers and our pole industry. Warn people about the dangers of fake poles. The fake poles have been designed to LOOK the same, but they have left out all the key safety features inherent to the authentic X-POLE design. 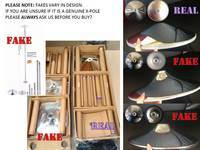 Please be aware that there are fake X-Poles being sold on Ebay and Gumtree for less than $400.00. Be very careful as the quality is not the same and they are unsafe! They have plastic domes that crack, knife sharp edges on joints that open and close when the pole flexes causing your skin to get caught, chrome that peels off, SOME have black rubber on the dome which will leave marks on ceiling, and joints that are not welded so causing the pole to bow dangerously. MOST SEEM TO BE SHIPPING FROM CHINA BUT AS WE LEARN IN THE PAST WITH FAKE HAND BAGS, AND SHOES DO NOT PURCHASE FROM SOMEONE YOU CANNOT TRUST OR ASK YOU TO SEND WESTERN UNION. Vertical leaisure (UK) & Dance4me Pty Ltd (AUS) are in the process of dealing with this. They have had them removed from eBay and are now taking action to have this stopped and to help protect the safety of all the dancers. 2) The base is not articulating. 3) The base does not have our little X's on them. 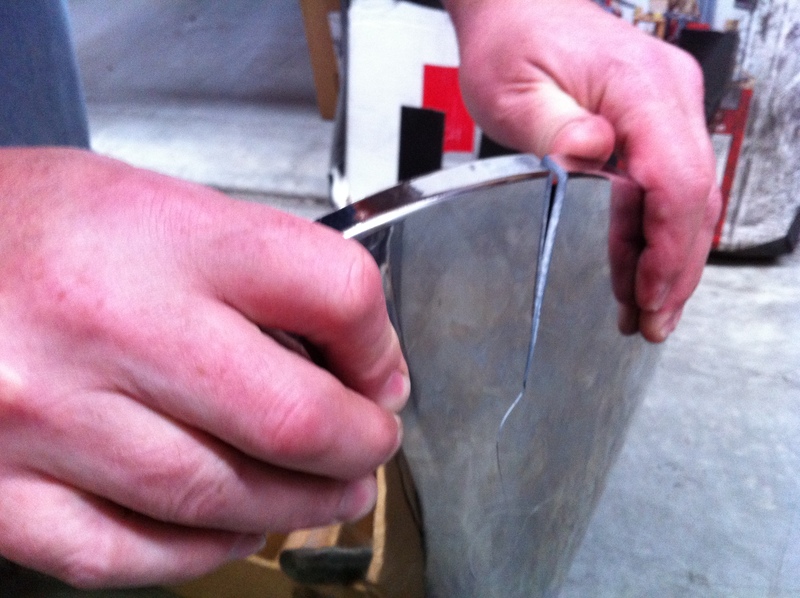 4) The joints are not welded together therefore they will come out and the pole will just be a tube. 5) The instructions are a photo copy and the DVD is also a bad copy. If you as a consumer buy one of these, you will not be able to replace any faulty parts with X-POLE parts - they will not fit. If you do have an X-POLE which has been bought from eBay or not from a verified supplier, please ask them for the serial number which will be on the upper dome. Ask them if the base has the X's on them etc. and check the pole. If this is a Fake I would recommend that you get a full refund via PayPal and send the pole back to who you bought it from. 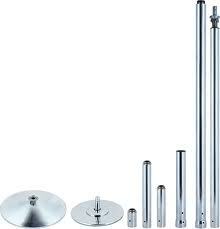 X-POLE is a quality brand and considered the Bentley of dance poles, and they do not want their customers confusing this rip-off version with the quality and safety associated with genuine X-POLE products.